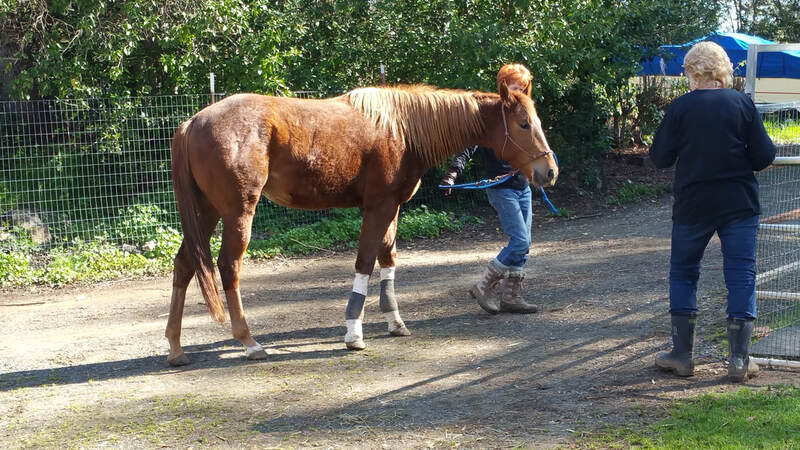 Maci arrived at All About Equine Animal Rescue, Inc. on September 4th, 2015. She was one of four horses that came to AAE as part of a collaborative rescue effort in Fallon, NV that saved 56 horses at auction from purchase by a slaughter buyer. Maci was a two year old, and the rest of the foursome included two yearlings, Bailey and Mazie, and Jolene, an older, experienced mare. Maci, Bailey, and Mazie were not halterable when they arrived. Maci was a BIG girl!! Sadly, she unloaded lame on her front right leg. That's always creates a big dilemma when you're dealing with an injury or illness. It took a little time to gentle her and get her comfortable enough to be evaluated (e.g. sedation, legs and hooves handled, and exposure to "things" like radiology equipment and all the cords that go with it), but what a sweet and willing filly she was. Maci was a ray of sunshine to everyone that met her. Though scared, she had this calm, kind, quiet and super willing demeanor. Many that met her thought she would make a fabulous therapy horse. 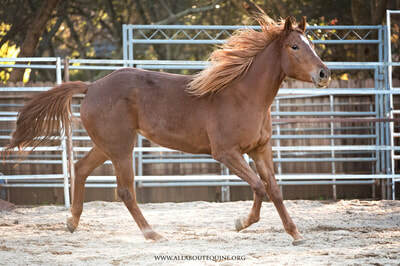 After a bunch of diagnostics including radiographs and ultrasound, it was discovered that Maci had several issues, including a fractured sesmoid bone and torn suspensory ligament in her front right, and Osteochondritis dissecans (OCD) lesions in at least three fetlock joints, and the fourth was assumed. The fracture and tear, though substantial, were expected to heal with stall rest, but the OCD lesions would require surgical intervention to prevent further/ongoing damage, chronic pain, and a short life. With OCD, Maci was expected to be an unridable companion animal in the future. Two surgery dates were needed, one for fronts and one for the hinds. 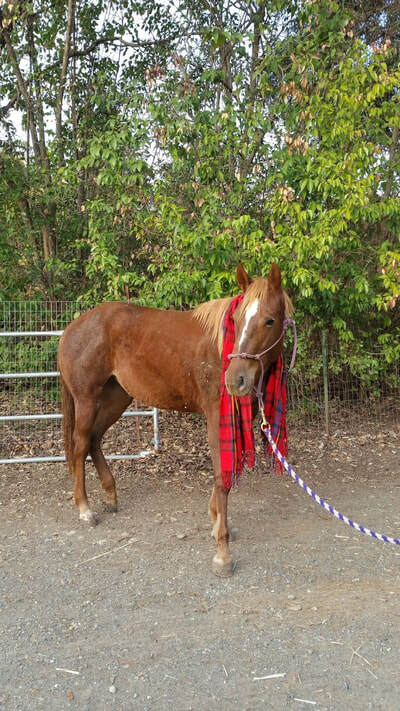 Sadly, Maci was a throw away by her former owner, a young horse with injuries. She was likely sent to auction to get rid of the problem. Unfortunately, there are many in our society that don't believe an injured horse has any purpose or value. The overpopulation problem doesn't help. Fortunately for Maci, she landed at AAE, and now she has gone from no future at auction to a future of forever. With huge thanks to supporters like you, we were able to move forward with Maci's treatment and surgery. Her first surgery was January 25, 2016. Her second surgery was February 29, 2016. Her surgeries went smoothly. However, it turned out she had TWO fractured sesmoid bones in front, and three torn suspensories. Poor, poor filly! Fortunately, the OCD was not as bad as it appeared in the radiographs, and that afforded her a better prognosis. After many, many months of stall rest and lots of daily hand walking by volunteers, Maci was recovering well. She had a long stay in the barn, but she made the best of it, entertaining us all with her cuteness. She was a bright light for all that visited; she greeted everyone that entered the barn. Her eyes spoke volumes; you could see how much she enjoyed the attention and interaction with volunteers and visitors. She simply took it all in stride. Maci is an all-time AAE favorite! Maci's prognosis was good after her surgeries. 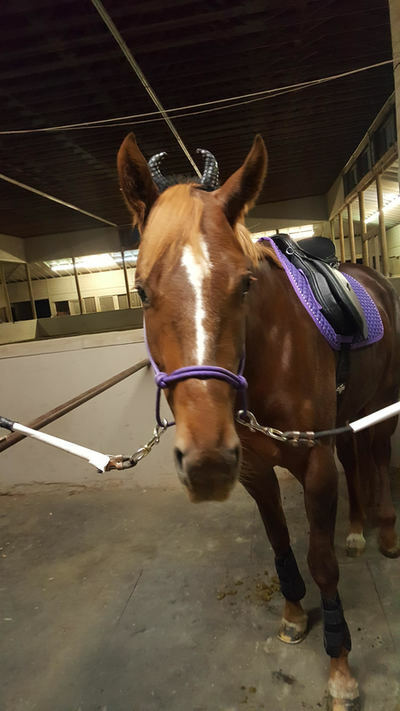 She slowly transitioned back to normal horse life, graduating from stall to turnout into her stall paddock, then into a little larger paddock, onto the small roundpen, and by the time she moved up to the arena, everyone could see how well she was doing. She felt good and she let everyone know!! The most exciting part was that she had recovered so well, about a year after her surgeries, her prognosis improved from a companion horse to a light riding horse. Good news for all to hear. Yayyyyy for Maci!! Check out Maci in one of her early arena turnouts. Then, the bittersweet day came... over a year after her surgeries, and now deeply embedded in all the volunteers hearts, it was Maci's turn to go to her forever home! These days are always SO exciting when a horse gets to go home with his or her forever person, but those that connect with the horse face the loss of a special companion. The bonds that are made at a rescue or so special. Some of us shed many tears, happy tears and sad tears, but we all hold on to knowing the time at AAE is only one part of the journey. When one horse leaves us, it opens the door for another, another horse that needs some love, care and attention from AAE and all of you, until it can move on to it's new home. Maci's adopter had recently separated from the military and relocated from the east coast. She was looking for a companion for her lonely horse. She was looking for an easy keeper. 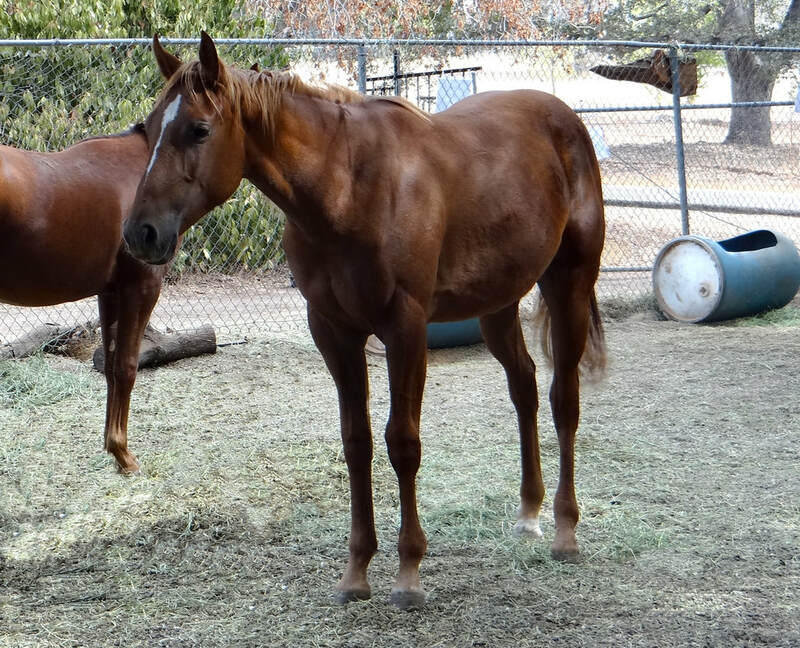 A horse that could keep up with her rambunctious young mare, and one that could be loved on. Maci was the first that came to mind, and when they met, Maci did her thing! 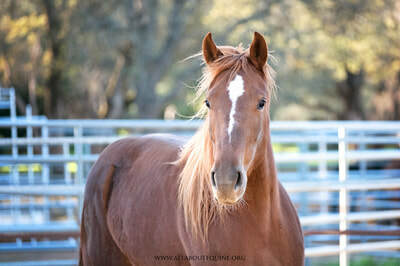 Maci is now Sienna, the unlucky little filly that was thrown away at auction with a plethora of injuries, but the lucky filly that our rescue partners and the rescue community cared enough to save from auction and ultimately, slaughter. She is living a pampered life and learning there's a lot more she needs to do in this world. We couldn't be happier with the progress Maci made from start to finish, and we are beyond thrilled she found such a special partner to offer such a promising future. We all miss you, Moose! If you are not familiar with OCD, a good starting point would be to Google "equine OCD".